Lyndsay Sutton at April 9 National Work Zone Awareness Week event. 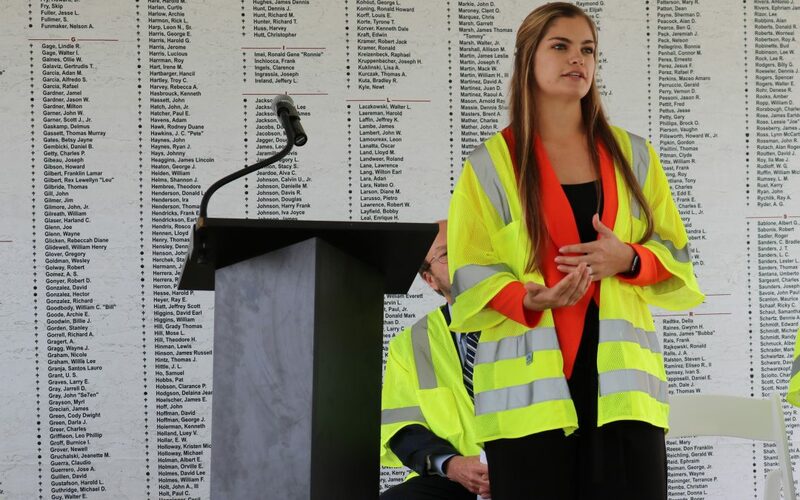 At an April 9 “kick off” event for National Work Zone Awareness Week, ARTBA Foundation scholarship recipient Lyndsay Sutton issued a heartfelt plea. “My message to distracted drivers is whatever you’re doing while you’re driving is not as important as those people’s lives that are out there making the road a safer place so that you can get home to your family at night,” said Sutton, an area manager with DBi Services in Fort Myers, Fla.
Sutton’s father, Steven Morgan, was struck and killed by a vehicle in 2011 while working for DBi on Interstate 75 near Sarasota. She was a multiple-year recipient of the ARTBA Foundation Lanford Family Highway Worker Memorial Scholarship, which has provided 165 scholarships to the children of highway workers killed or permanently disabled on the job. 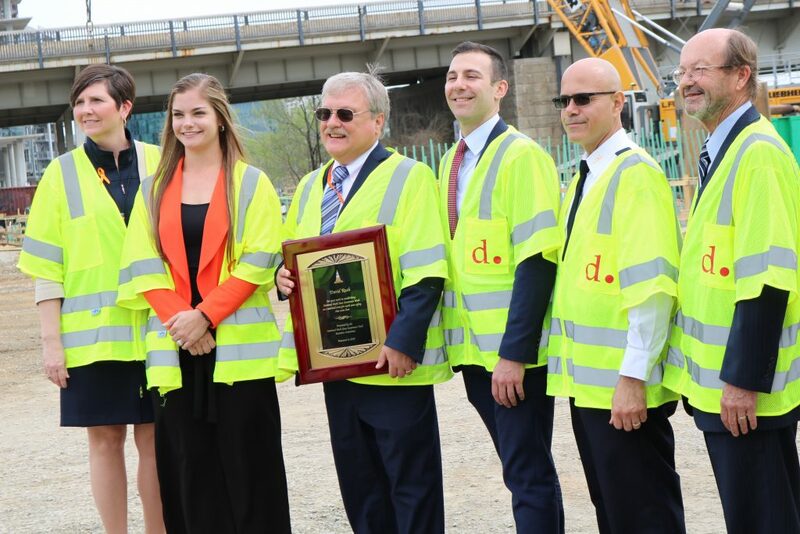 The kickoff event took place at the Frederick Douglass Memorial Bridge project site in Washington, D.C., which is being designed and built by ARTBA members Archer Western Construction LLC (Walsh Group), Granite Construction and AECOM. 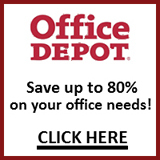 It is the largest project in the District Department of Transportation’s (DDOT) history. 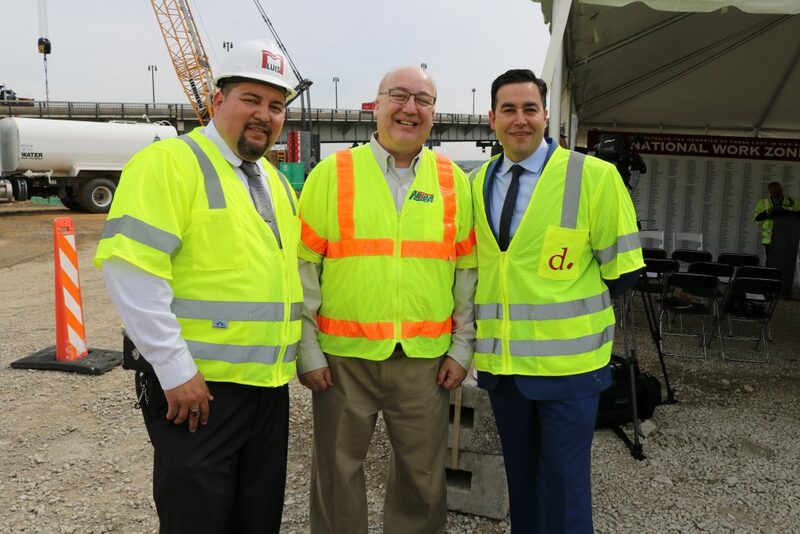 To get a behind-the-barriers view of a highway work zone, watch this video featuring Jeremy Rodgers, a superintendent at ARTBA member firm Wagman Heavy Civil. National Work Zone Awareness Week (NWZAW) is an annual spring safe driving campaign sponsored by ARTBA, the ARTBA Foundation-run National Work Zone Safety Information Clearinghouse and several federal agencies and organizations. See more on ARTBA’s NWZAW activities at the Transportation Construction Safety Center.